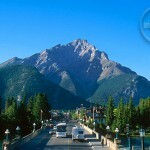 I have had the pleasure of eating in many of the Canadian Rockies’ best restaurants. Places like Banff and Jasper tend to draw hungry customers from all over the globe who have tasted some of the world’s finest foods and know quality when they taste it. Masala, located on Bear Street, sits quietly in its little corner of Banff unassuming and simply decorated. Behind the doors is a team of serving staff and chefs who have an incomparable passion for food which is released in the dishes that are brought out. Masala is not just the best Indian cuisine in the Rockies; it is quite possibly the best food full stop. Finish a great day off in Banff with an even better meal. Head chef Gurjot sat down with me and added to the experience by explaining in detail how everything is marinated, about every ingredient and about the history of the dishes. Here was a man who wasn’t working in a restaurant for employment but as an artist. Gurjot has a passion and expertise with food that goes a couple of thousand light-years past my knowledge of how to make Spaghetti Bolognese. For appetizer, we tried some aloo tikki, chilli prawns, chicken tukra and vegetable samosas. Each bite released a cacophony of flavours into the mouth. Gurjot told me that everything in Masala was made from fresh and no where was this more evident than the fish which tasted like it had come straight out of the ocean, marinated for days and then brought to my plate- exquisite. My stomach was already struggling for room when the specialties from the traditional clay oven came out. Though Masala is on the verge of experimenting by introducing Bison into the menu, we went with paneer tikka, tandoori salmon and zafrani murg tikka. Again the head chef explained that only white meats are cooked in the clay oven as they cook so quickly. This makes it even tastier. The main courses came out in a train of glory. My stomach questioned its ability to keep going while the heart said ‘keep on eating you fool’! I was already extremely impressed by every morsel that had been brought out. The presentation was excellent and the waitress was constantly attentive and friendly. Butter chicken, beef korma, shrimp and lentils were just a few of the many dishes that accompanied the delectable rice and garlic naan that sat in front of me demanding to be eaten. Chef Gurjot brought me out some fenugreek leaves to smell exactly what the unique ingredient in a butter chicken is. As I waddled from the restaurant back into the cold air of Banff, I knew I would be back soon. With very affordable prices, superb food and friendly service, Masala is my new favourite restaurant in the Rockies. Don’t let a trip to Banff pass without visiting.